A dog's life in the south of France. From puppyhood, Sirius the Pyrenean Mountain Dog has been trying to understand his humans and train them with kindness. How this led to their divorce he has no idea. More misunderstandings take Sirius to Death Row in an animal shelter, as a so-called dangerous dog learning survival tricks from the other inmates. During the twilight barking, he is shocked to hear his brother's voice but the bitter-sweet reunion is short-lived. Doggedly, Sirius keeps the faith. One day, his human will come. Adam March is a self-made “Master of the Universe”. He has it all: the beautiful wife, the high-powered job, the glittering circle of friends. But there is a price to be paid for all these trappings, and the pressure is mounting—until the day Adam makes a fatal mistake. His assistant leaves him a message with three words: your sister called. What no one knows is that Adam’s sister has been missing for decades...that she represents the excruciatingly painful past he has left behind...and that her absence has secretly tormented him all these years. When his assistant brushes off his request for an explanation in favor of her more pressing personal call, Adam loses it. And all hell breaks loose. Adam is escorted from the building. He loses his job. He loses his wife. He loses the life he’s worked so hard to achieve. He doesn’t believe it is possible to sink any lower when he is assigned to work in a soup kitchen as a form of community service. But unbeknownst to Adam, this is where his life will intersect with Chance. Chance is a mixed breed Pit Bull. He’s been born and raised to fight and seldom leaves the dirty basement where he is kept between fights. But Chance is not a victim or a monster. It is Chance’s unique spirit that helps him escape and puts him in the path of Adam. 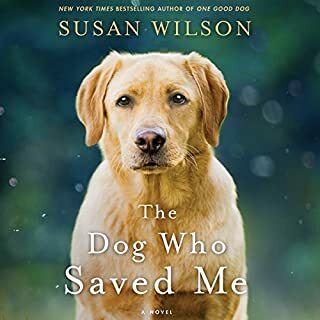 What transpires is the story of one man, one dog, and how they save each other—in ways they never could have expected. I usually avoid dog stories, to be honest, I cannot bear most animal stories. They usually make me cry, they break my heart and I can never forget. Life makes me cry enough; I read to escape, to be enlightened, to find hope not to have my damn heart broken again. So, I bought this book promising myself that if it started to shatter my heart I'd stop reading. No problem. I'd just stop. THEN the warning signs appeared, a sad ending was in store for me, but...no...maybe not...just maybe.. I trusted my instinct and kept reading, the glorious author fooled me and turned what could have been a heart-wrenching end into a precious memory. No sad endings here. Just a good story, written the way someone who truly loves dogs would write it. A story a cynic can love. A story a big mush like me can treasure. Read it. You won't be sorry. I had never read anything by this author, but I will be looking for more! I couldn't wait to see what would happen...and was sad when the book ended because it was over! 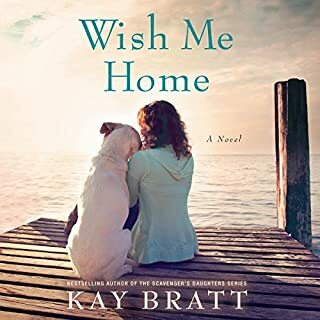 The author did a great job of segmenting the story...alternating between letting the Dog, Chance, tell the story from his side, and the main character, Adam, tell the story from his side. Together, both sides make a great story! I'm serious when I say you HAVE to listen to this! What made the experience of listening to One Good Dog the most enjoyable? I loved the fact that the story is narrated from the human and dog perspective. Great having to narrators. The dog had such a great personality and seemed very real to understand his thoughts. Chance, the dog. I love dogs and understood his explanation of how he interpreted things. What about Fred Berman and Christina Delaine ’s performance did you like? I think the narrators names are confusing. Pretty sure both narrators where guys. But either way, they were both great. Ok, i'll admit it. I got totally emotionally hoked on this one. The author did an amazing job of taking you on a journey that was full of highs and lows. I'm not afraid to admit as a grown man and truck driver, this did bring a tear to my eye. The message within the book is something everybody could learn from. It shows humanity at its worst and its best. A true book for dog lovers no matter who you are. I guarantee, that if you listen to this, you will not be disappointed. Once I started listening to this I literally could not stop. Fantastic narration. I'll never read the printed book because the two narrators were fabulous. Some reviews are hung up on the dog's advanced thought process and vocabulary. In my opinion, that was the most marvelously written part of the book. Highly recommend. This book digs at my heart, much like "The Art of Racing in the Rain" and "The Story of Edgar Sawtelle." 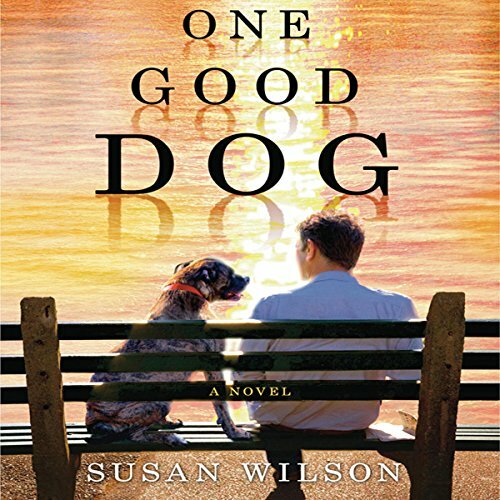 Susan Wilson truly understands the bond between dogs and humans--at least from this human's point of view. I love dogs, I love this book. A story of redemption and grace. Heartwarming, tearjerking, and a great dog story! What could be better? This story was fun from start to end. This is the tale about the fall and redemption of Adam, a middle aged man, and his adopted rescue dog, where the gimmick is that about 25% of the story is narrated by the dog. I enjoyed both parts equally. The dog is a pit bull and former fighter. The man, Adam, is a wealthy, arrogant, entitled businessman who loses his job, home, and family, and is sentenced by a judge to perform community service at a soup kitchen. The dog, Chance, is his unexpected life saver. Adam's past and present have many interesting story threads, making this an emotional and fast-moving story. My only compliant is that it was so short, and I hated it to end so soon. This is a simple story that tugs at the heart, and totally works. At least it did for me. The reader who does the dog is great. The third person narrator, telling the story from Adam's perspective, is adequate and easy to listen to. I admit that I am a dog person, but the story has so many elements that make it fun beyond the great dog personality. I do not rate many books a 5, but I didn't have to think twice before assigning that top rating to this novel. This book was wonderful! What an emotional rags to riches story, for both man and dog. It was good from the first words. 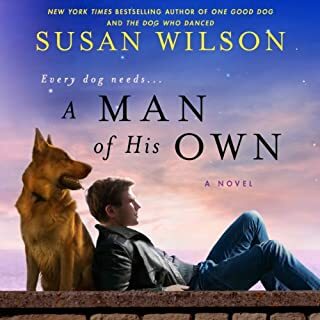 The dual precpective really worked and I'm guessing Ms. Wilson is a dog lover as she wrote this just as the loving relationship between man/dog exists, at least in my mind! Thanks for this great story! 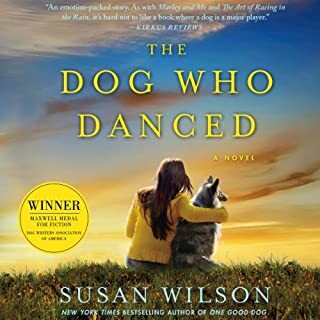 Susan Wilson - Please write a sequel. I absolutely loved this book. I couldn't turn it off. I have 3 wonderful doggies, and I know Susan has hit the nail on the head with the thoughts of her pit bull. I want MORE!!!! This book began so slowly I came close to giving up on it. Adam Marsh's meltdown; the act that sets this whole story in motion was done in slow motion and with more detail than is imparted in The Odyssey. The characters aren't particularly well balanced for the most part; particularly for the first three quarters of the book. What saves this book is Adam's growth of character and the relationship between him and Chance the rescue dog. Well, that and the improvement in the relationship between Adam and his daughter Ariel; both of them growing as people as well as father and daughter. If you're able to get through the first couple of chapters it's a good listen. I loved this book. At first I thought I may struggle to listen to the nasal American accent of the narrator who reads Adams parts but soon the story takes over and you don't notice it. 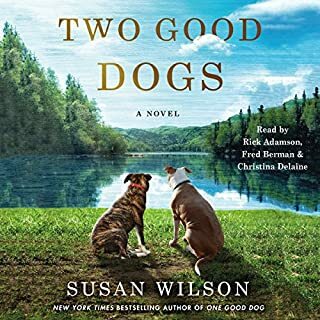 I like the way the author Susan Wilson manages to be graphic when telling the story from the pit bull Chances' point of veiw without being too descriptive with the blood and gore. 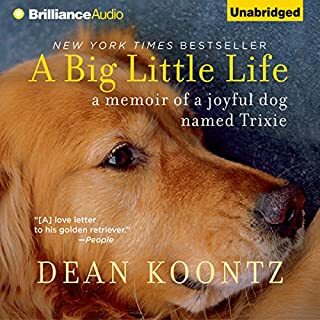 As a listener you are drawn in and your imagination does the rest impressive writing.If you liked Marley and Me or The Art of Racing in the Rain I think you will like this.Don't be put off about the fact the dogs tale is one of dog fighting, this is really a story about two characters finding they can change for the better in each others company.